First Look at the Highly Anticipated Jurassic World - The Ride at Universal Studios Hollywood. We are so excited to follow along with all the updates and newest additions to Universal Studios Hollywood! My kids are asking more and more to visit and there is so much to see, do and experience, we all may have to make time to visit... it has been over 12 years for us! The kids have never been... I know! 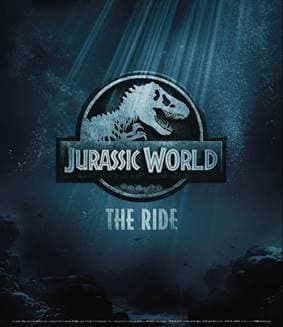 The aesthetics of “Jurassic World—The Ride” will be dramatically enhanced, welcoming guests to a reimagined space reflective of the Jurassic Worldfilms. A fresh, new entry statement, stonework landscaping and a contemporary redesign of the iconic pillars illuminated with billowing flames will support a prominent “Jurassic World” marquee logo. Have you been to Universal lately.. what is your "must see" "don't miss" favorite?